Dhan Bhagiyam is a soft spoken, petite elderly woman of 75 years. Yet despite her age, she still runs a successful tailoring business in the gold mining town of Tavua. Fiji Sun visited Dabygam to see how her business was doing and to see how the Small and Micro Business Grant from the Government has helped her in the business. She had received a grant of $550 from Government in 2015. “I have been sewing for the last 50 years and I’m still doing it because this is something I love,” she said. When the Fiji Sun team visited her, she was in the middle of sewing uniforms for a church choir. “I sew everything. I free cut anything and sew,” she said. In what she calls a good week, Ms Bhagiyan makes up to $300. “This income I get from this business always fluctuates. But if you remain faithful and do the sewing well, people will return, people will tell others about you and they will come with business,” she said. She thanked the Government for giving her the grant. “I didn’t think that I would get it. But when it did come, I was just so happy,” she said. 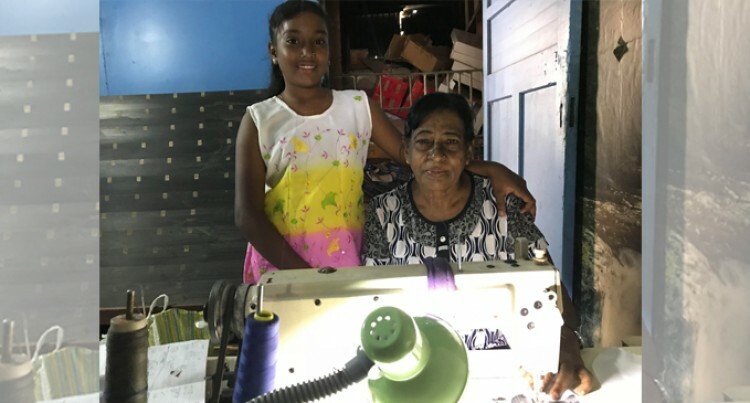 In her little corner of the shop, sewing quietly away the Fiji Sun team left Ms Bhagiyam, inspired by her drive to continue doing what she loved for the people she cares for. “I adopted children and I now look after my grandchildren. I have worked hard in life and I want these young ones to know that through sacrifice comes great rewards. I do this for them,” she said.